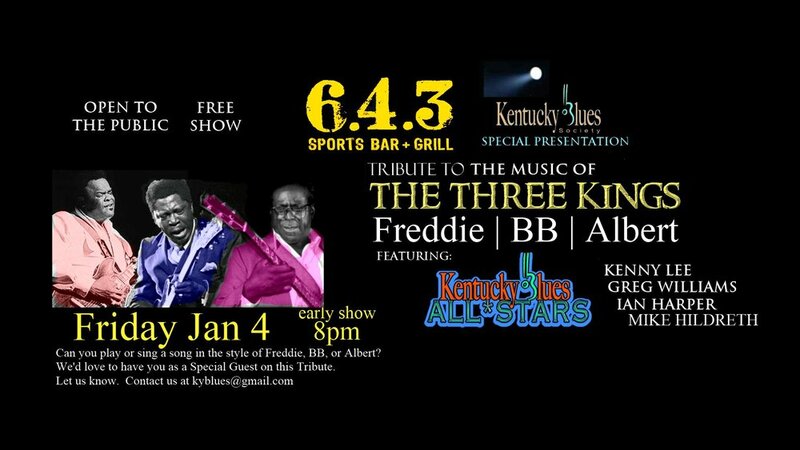 The Kentucky Blues All*Stars: Greg Williams, Kenny Lee, Ian Harper, Mike Hildreth performing the music of the THREE KINGS of the Blues. Freddie King, BB King, Albert King. location: 643 Sports Bar. It's a free show .. from 8 to 11 .. 643 Sports Bar is located next to the BG Hot Rods Stadium and has great food and plenty of seating. open to the public, all ages, no cover, great food .. come join the fun! Tyrone Dunn & Kin-Foke New Years Eve Party!